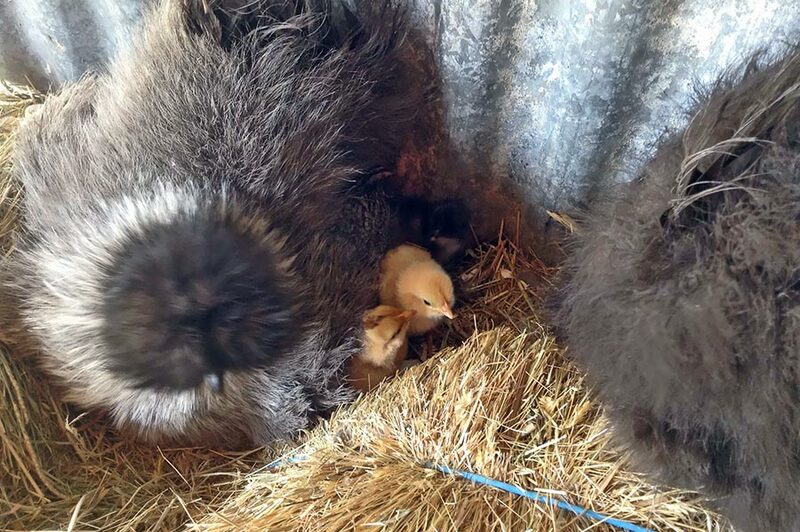 Our livestock, poultry and bees (along with free access to the vegetable patches) is our way of bringing our guests and friends back to knowing where their food comes from and when practical to literally pick, prepare and eat. 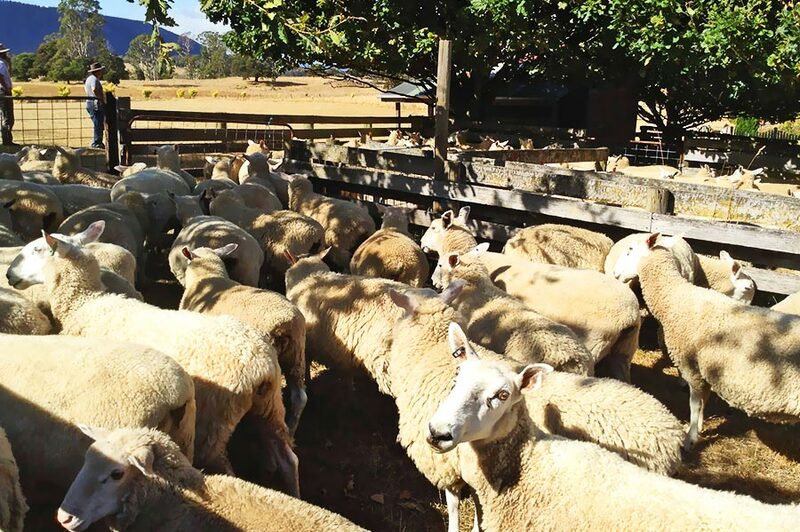 The majority of our livestock are sheep. 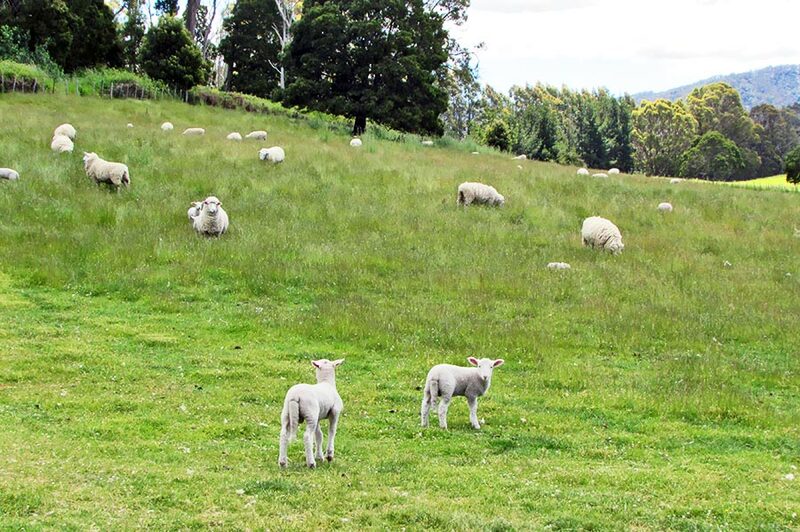 We run two breeds: Border Leicesters and Wiltshires. 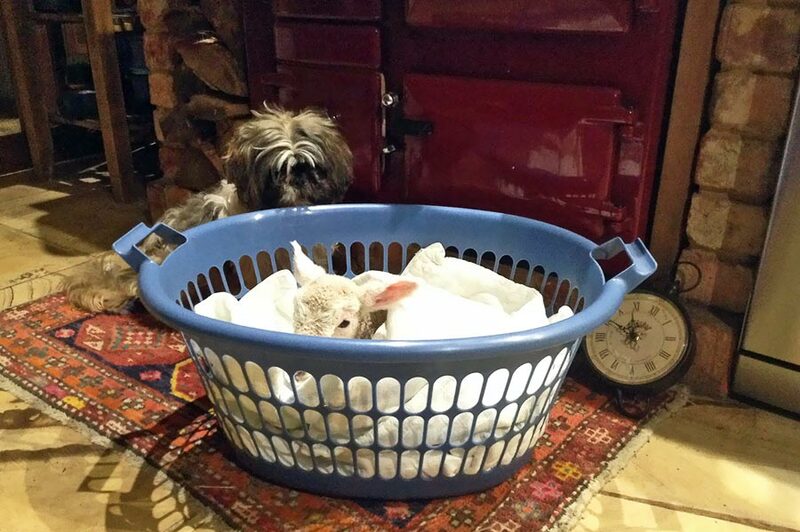 During lambing season we invite our guests to help bottle feed any lambs that are in need of some extra help. We also have a small number of cows and seven Alpacas. Our Alpacas are a great source of wool, which is soft and warm. The Alpacas are a curious animal and whether you stay in Heritage or Hobbit they will be looking over the dry stone walls to see if you have a spare apple. 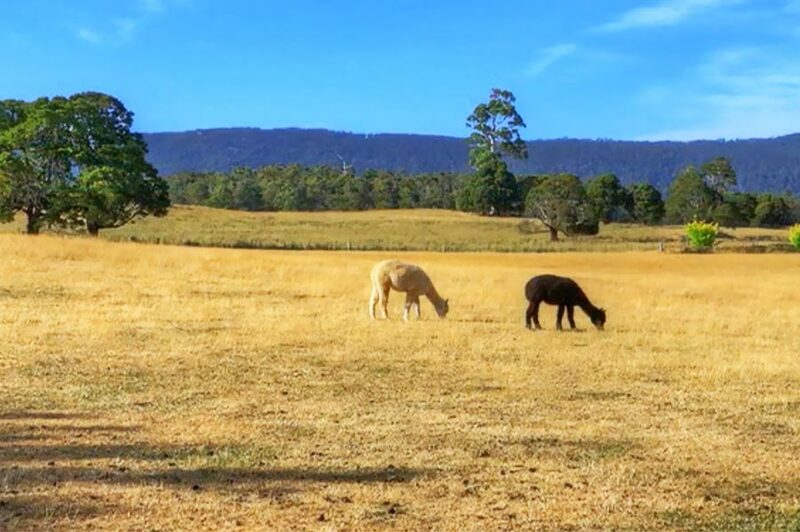 We also invite our guests to feed the Alpacas with us in the late afternoon. Our chooks and ducks supply our daily free range eggs, which are so different from commercial eggs. 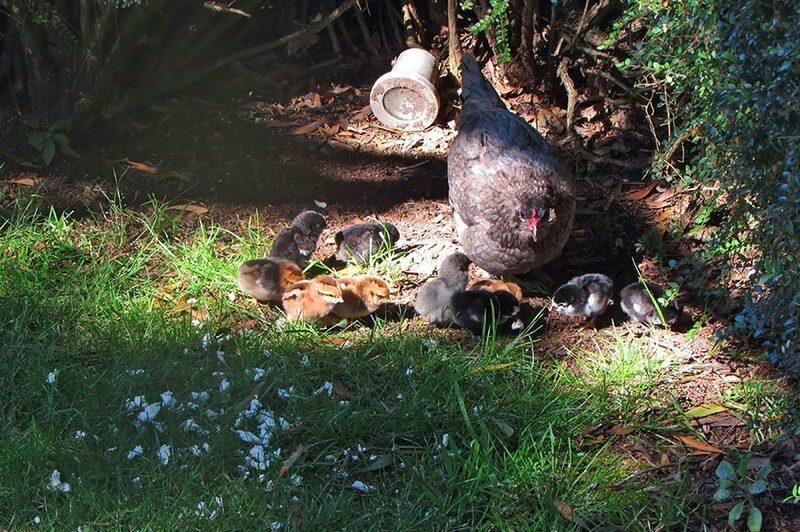 As well as our ducks we keep Guinea Fowl, Silkies, Wyandottes, Arracannas, Isa Browns, Rhode Island Reds. 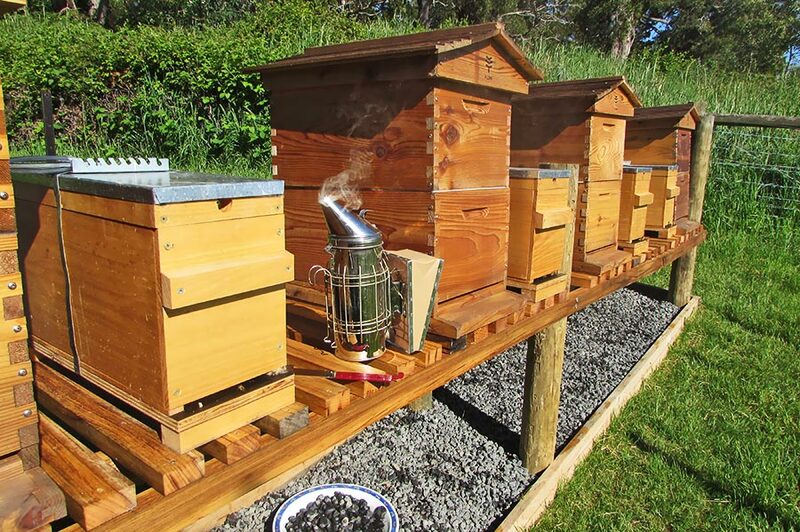 Our latest initiative is to establish an Apiary. We’ve decided to go with the Flow Hive technology. This is our first year of beekeeping, and are keen to establish the colonies to see them through their first winter, but beyond that we will also provide the opportunity for guests to draw honey direct from the hives.